Change the livery of the Williams. 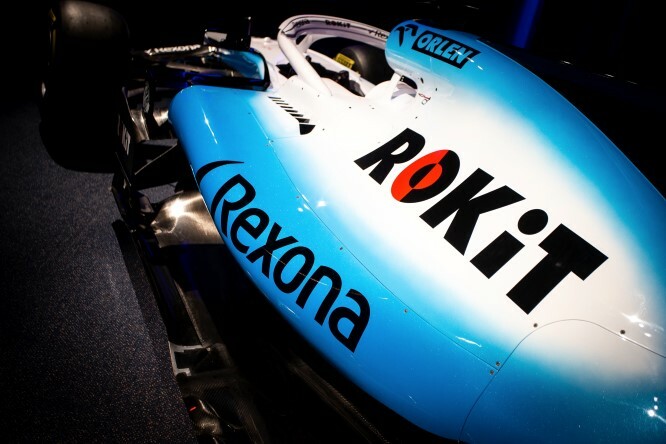 The telecommunications company Rokit is the new title sponsor and as a result the cars of the Grove-stole take on a color in which white is still present, but in cohabitation with blue and black. The latter two colors also feature the team uniforms, as can be seen on the photo's of the two pilots, Robert Kubica and George Russell. Less visible than the presence of the Polish sponsor PKN Orlen, who played a fundamental role in the promotion of Kubica. Today's presentation, which took place at Williams headquarters, deliberately reveals little of the car, which more closely resembles an FW41 that has been adapted for the occasion. To see the real FW42, you have to wait for the debut on the track, in the Barcelona test, in addition to the film recording in the video released by the team.